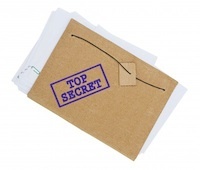 What exactly are Trade Secrets? Trade secrets may be defined in broad terms and may include sales methods, distribution methods, consumer profiles, advertising strategies, lists of suppliers and clients, recipes, formulations, and manufacturing processes. While a final determination of what information constitutes a trade secret will depend on the circumstances of each individual case, it’s pretty well established that unfair practices with respect to secret information would include stealing, industrial or commercial spying, breach of contract and breach of confidence. In short, any confidential business information which provides your business a competitive edge may be considered a trade secret. Trade secrets may include manufacturing or industrial secrets, commercial secrets and/or business know how. The unauthorized use of such information by others outside of your business is considered an unfair practice and a violation of the trade secret. 1. The information must be secret (i.e. it is not generally known among, or readily accessible to, circles that normally deal with the kind of information in question). 2. It must have commercial value by reason of it being a secret. 3. It must have been subject to reasonable steps by the rightful holder of the information to keep it secret. If the information meets the first two requirements, it’s essential to take necessary measures to protect the trade secrets as required by Point 3. This includes making sure that a limited number of people know the secret and that all those who do are well aware that it is confidential information. You should execute confidentiality agreements with all employees, independent contractors and any other party with access to the secrets or confidential information. This duty of confidentiality should remain for the duration of the employment, and for a period of time following termination of the relationship. Confidentiality agreements should also be signed with new and prospective business partners whenever disclosing confidential information. There you have it, the short story of trade secrets. Does your company have trade secrets? Have you taken affirmative steps to protect them? If you have any questions about your trade secrets or protection plan, please contact one of our intellectual property attorneys for a complimentary consultation, (800) 769-7790.